The history of Mur ano glass began, when the industry was shifted from the main land to the small Island of Murano in 1291. The glass artisans enjoyed great privileges during those days. Several families were engaged in the ancient art. 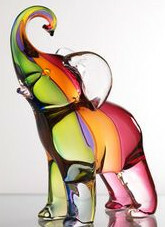 The innovative spirit in the Murano artisans soon produced unique varieties of glass art. Seguso was one of the earliest families that distinguished themselves in the excellent art of glass blowing and glass craft. 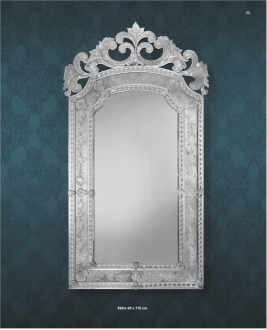 They were named among the reckonable glass dynasties from 1397 onwards. They owned one of the largest furnaces in Murano. 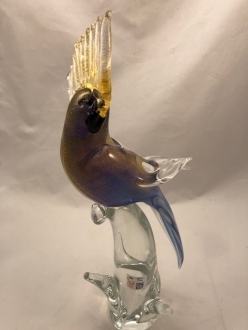 The family produced some of the most unique glass art pieces which have earned them an esteemed position in the world of glass art. Currently their products adorn quite a number of museums of consequence all over the world. The family’s name appears in the ‘Libro d’Oro’ or The Golden book of Murano. For centuries, the family has been engaged in producing ‘objets d'art’ for the royalties all over the world. Their artistic work has graced even the Pope’s abode. Besides these, Seguso glass has been included in the components of the décor schemes of many word famous spaces and interiors. The family achieved great triumphs during 16th and 17th century. However, 19th century was the golden era for the Seguso glass. Antonio Seguso was able to revive the art greatly. He was greatly responsible for the rebirth of Murano glass art after its great decline during the 18th and 19th century. ‘Artistica Vetreria e Soffieria Barovier Seguso e Ferro’. His other associates were Napoleone Barovier and Luigi Olimpo Ferro. But in 1937 when Ferro left the company, Flavio Poli joined it in his place and became the Artistic Director of the glass works. The name was then changed to ‘Seguso Vetri d'Arte’. 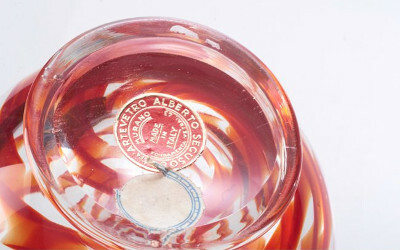 In 1947 Alberto Seguso split from the establishment to set up an independent concern named ‘An gelo Seguso & C. Arte Vetro. Napoleone Martinuzzi joined him as the Artistic Director. Together, they produced a series of most venerated glass vases and sculptors. 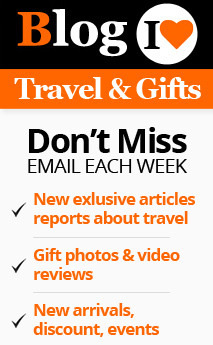 These artifacts are still considered to be among the most treasured collector’s items. 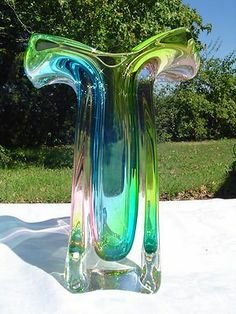 Martinuzzi, for the first time, used the technique of sculpturing glass while it is still hot. This gave the products the perfect shape. The gold flecked goose is a glowing example of the great workmanship of Alberto Seguso glass furnace. However, Martinuzzi left the establishment in 1953 and the Arte Vetro di Alberto Segusi wound up in 1954. Arte Vetro di Alberto Segusi made use of many traditional Murano glass blowing techniques together with a great many innovative techniques. The products, resulted from the experiments made in the C. Arte Vetro furnace, were superior in their texture and fabrication. 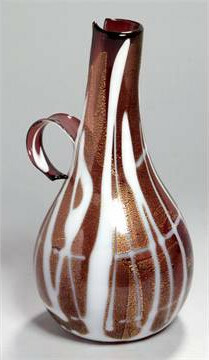 Segusos were the people who produced Venetian glass articles in their true perfection. 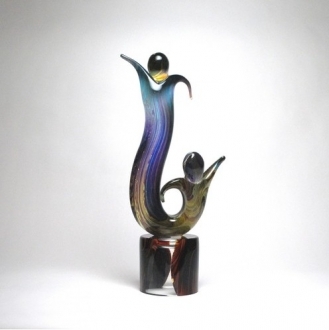 They were responsible for blowing a new life into the then declining Murano glass art. The world is thankful to the family for reviving and still maintaining the ancient Murano glass craft. Height: 170 cm" Length: 95 cm"